« Finally, Purple Coffee Maker Perfection at The Purple Store! Most of our dear purple fans probably have already heard a lot about Net Neutrality and have heard arguments about it from every side. We wanted to take a moment to talk about how the repeal of Net Neutrality would affect The Purple Store, and our ability to keep engaging with all of our purple fans. Just to make sure everyone is at the same place, I’m going to briefly summarize Net Neutrality and what the repeal would mean in general. Net Neutrality is the notion (and current law) that all internet traffic must be treated the same by service providers. With Net Neutrality in place, internet service providers (ISPs) must provide access to every website with the same speed, can’t block access to websites unless they’re violating the law in some way, and not charge different users for different access to content on the internet. Repealing Net Neutrality would allow ISPs the ability to do things like blocking specific websites, either entirely or behind a paywall, artificially slow how fast a site loads, or charge users extra in order to access areas of the internet. Imagine trying to shop at The Purple Store and having to watch a 30-second advertisement first before it would even load. Or imagine having to pay extra on top of what you already pay, to visit The Purple Store, just like you have to pay extra to get sports or entertainment channels on television. Or imagine not being able to access The Purple Store at all, just because. This of course applies to every other activity you might have everywhere else on the internet as well. Now that we’re all caught up, let’s discuss a little bit how it might affect The Purple Store, specifically, and you, our purple fans. Currently, we rely on the neutral internet to ensure that you, our customers, can reach us. The more barriers between you finding and shopping with us, the less orders and therefore less money we make. So either we have to hope that our purple fans are willing to pay extra in order for you to get to our site, or we end up having to pay ISPs extra money in order to make sure you can get to us. Either way means that everything in the store either has to become more expensive or we just have less money to add the purple goodies our customers have been asking us for. Gigantic companies can absorb the additional costs, especially because small businesses like The Purple Store won’t be able to compete and will probably start to close. 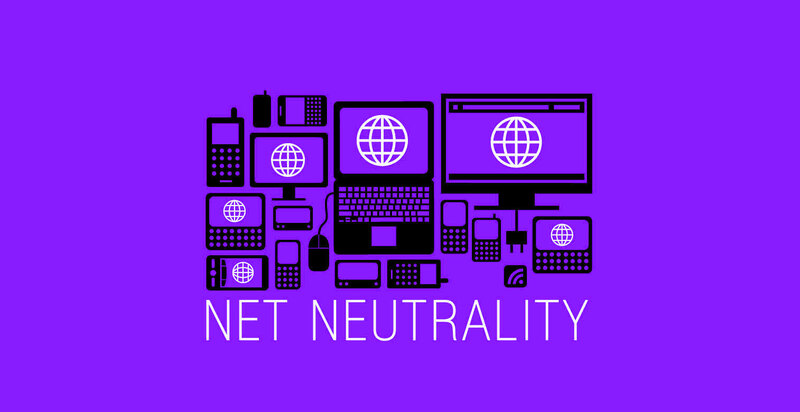 So if you like The Purple Store (and most of the other online retailers, blogs, social media sites, and everything else the internet is used for) then Net Neutrality needs to be preserved. So what can you do about it? SO MUCH! The FCC is voting tomorrow on whether or not they’re going to repeal Net Neutrality, and there are already bipartisan efforts from congress to stop it. They have a step-by-step guide on who to call to talk to about it from your state, and instructions on how to navigate Congresses’ system in order to make sure you are heard. We have purple fans all over the country, and it would be wonderful if our purple fans banded together to keep the internet an open place where we can continue to hang out together and talk about purple stuff.